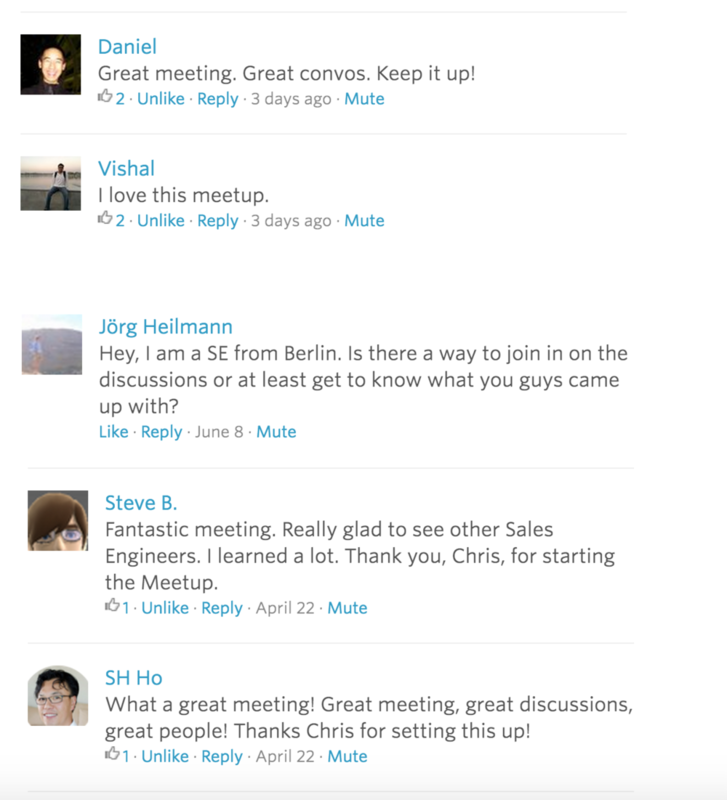 After another great sales engineering meetup here in San Francisco with some great discussions, I figured it'd be great to have more of an online community to capture discussion from the meetup and be a place for knowledge-sharing. Part of the motivation behind this meetup and community has been the outstanding lack of resources for technical sales people and it shows by the vigorous and engaged discussions happening at the meetups. In the first three meetups we received some great feedback and even one member went on to redefine his role and get promoted within his company after a discussion on career pathes and progression for sales engineers. So I'm pleased to annouce the MVP of a reddit-esque sales engineering community and slack channel.